Janus, in Roman mythology is the god of transitions, beginnings, endings and time. His two faces look to the future and to the past. 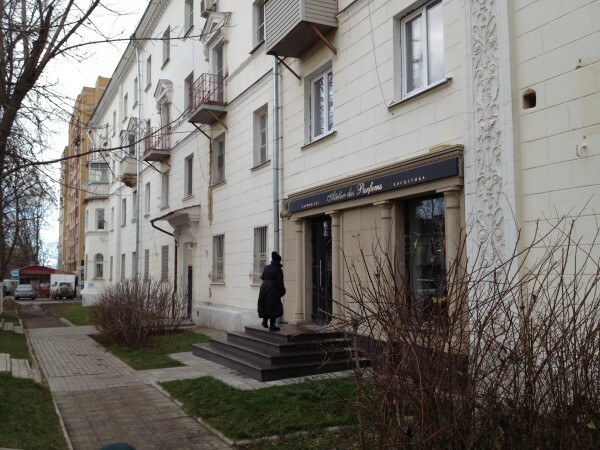 I recalled Janus recently when passing a building in Tula’s center. 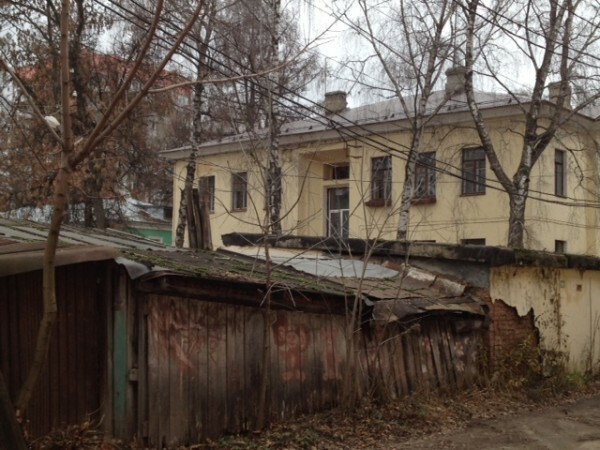 A regular residential stalinka, e. g. typical of Stalinist architecture and probably built in late 40s or early 50s, this house is no different than a dozen of other such buildings that adorn this quiet street. The building’s ground floor houses an office of a law firm and a recently opened cosmetics shop. 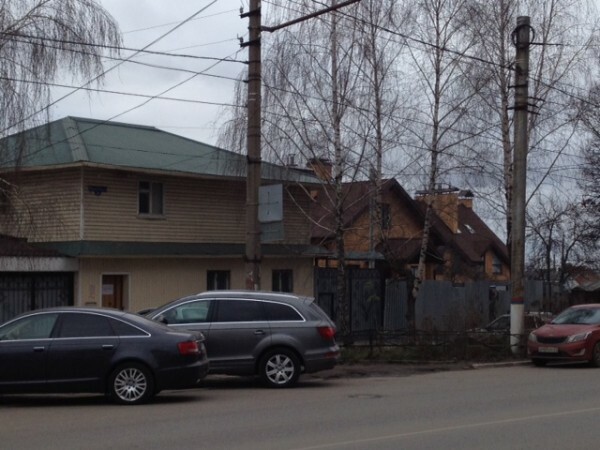 … and metal boxes of private garages. And those sarai, storage huts, where people kept everything from boxes of New Year tree ornaments and empty jars in the summer to potatoes – in basements – and rows of self-made preserves in the winter! Sometimes, at least in provincial towns, people kept pigs or rabbits there, too. But this was the time of deficit. 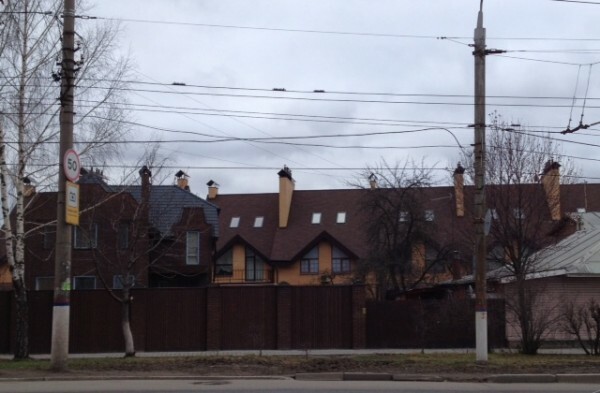 If sarai and garages are noticeable right away, then a small sign on the back wall of this apartment house is not. 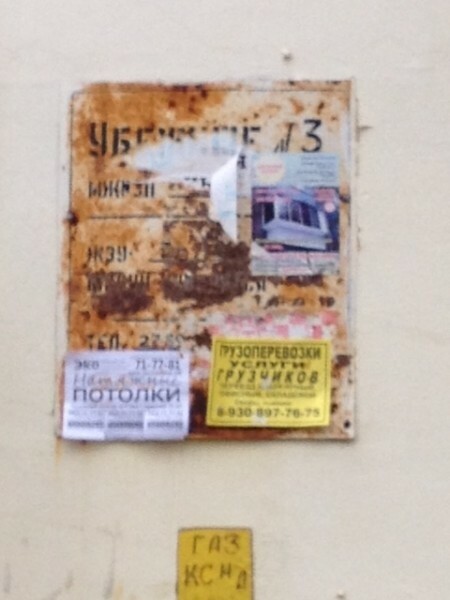 The sign is rusty and covered by different paper flyers advertising moving companies or plastic ceilings. But one can still read “Shelter No. 3” on it. Another era. That of the pre-WWII or the beginning of cold war when bomb shelters were built in basements of newly built residential buildings. 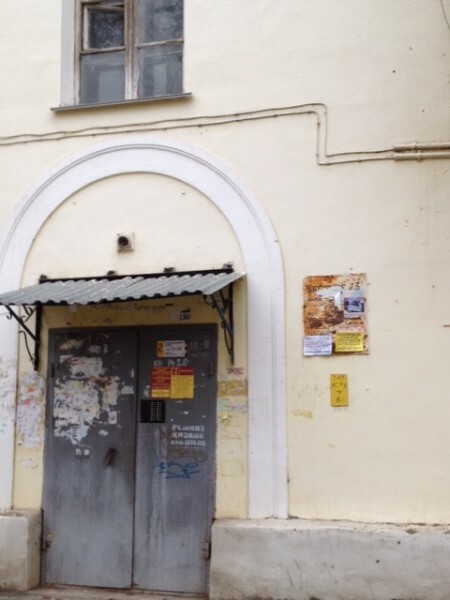 Buildings typical of Stalinist architecture were constructed from 1930s until the end of 1950s. Looking at this house now I wonder when exactly it was built. 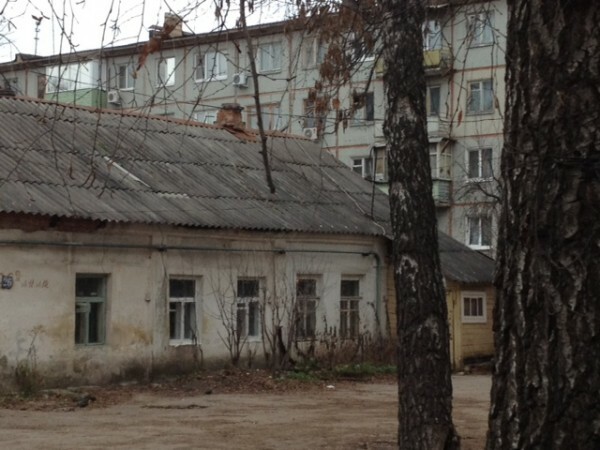 My main question is, of course, whether this inner yard with its fancy SUVs parked here now, saw black NKVD’s, secret police’s cars, rolling in the night and quietly stopping to pick up some or other resident of this prestigious house and unleash yet another personal tragedy? History often hides behind modern facades. Universally true this fact is even more obvious in Russia. Walking in Tula I am constantly aware of these overlapping layers of time, of beginnings and endings, and of transitions. Looking into the future I hope that bomb shelters and storage huts will remain in “inner yards” of our collective memory but in our present we'll be accompanied by more peaceful, though mundane, cosmetic shops and town houses instead. 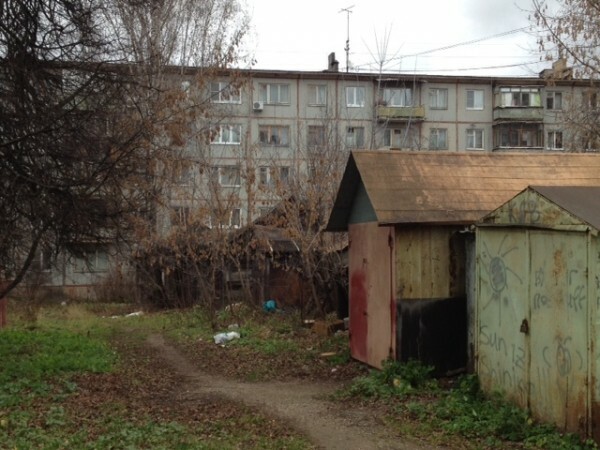 This entry was tagged bomb shelter, garages, sarai, stalinka, town houses, tula. Bookmark the permalink.